Experience Grammy Award-winning artist Casting Crowns on the most popular Christian tour of 2007/2008, reaching nearly 400,000 people in 84 locations. This 2-disc set features seven live songs both on CD and DVD from Casting Crowns� best-selling The Altar and the Door album, including the US hits East to West and Every Man. Bonus content includes a behind-the scenes documentary, the new Slow Fade music video, and three five minute teaching videos from lead-singer/songwriter and pastor Mark Hall specifically geared for personal use or in church services and Bible studies. 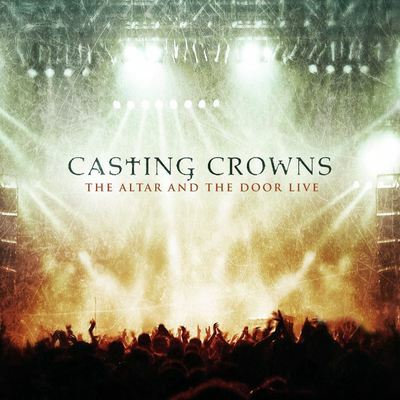 The Altar And The Door: Live CD & DVD by Casting Crowns was published by Integrity in August 2008 and is our 13508th best seller. The ISBN for The Altar And The Door: Live CD & DVD is 0602341013123. Be the first to review The Altar And The Door: Live CD & DVD! Got a question? No problem! Just click here to ask us about The Altar And The Door: Live CD & DVD. Now Playing: All because of Jesus Your browser does not support the audio element.